In addition to PB&J, my daughter loves pancakes; chocolate chip pancakes to be exact. Since pancakes have become part of our routine three or four days a week I decided that we needed a healthier option than all purpose flour or even worst some store bought pre-made pancake mix. My solution is to make my own pancake mix which starts with grinding my own flour. I have some friends who think it is simultaneously amazing and crazy that I would make my own flour and I must admit when I first learned it was even possible I was pretty much feeling the same way about it. But now it just reminds me just how far removed most of us (including me) have become from the sources of our food. I can operate it by hand or with the motor. And I have learned I like electricity so as long as it is available, I will be using the motor. Grinding grain by hand could be a good discipline measure for teenagers. Let them choose between being grounded for a week or hand grinding grain for half an hour. After the first time they will pick the grounding every time I would bet. That would be a good book title "Grounding or Grinding." I start the pancake mix process by grinding a variety of grains into flour. I use whatever I have on hand. I buy grains in bulk, usually in twenty-five pound bags. With so much grain on hand I have had to become creative with its uses... getting creative with the use of grains really was more of a defensive measure given the amount of space it takes up. Why buy the stuff if you don't use it? See how pretty all the grains look! That makes me happy. I fill up the grain mill with the five grains and push the button. See flour comes out the bottom. I do not bother to measure how much of any of the grains I use. As the grain is ground I keep filling up the hopper until I get as much flour as I want for my pancake mix. I often will take some of the freshly ground flour and freeze it in a ziptop bag. 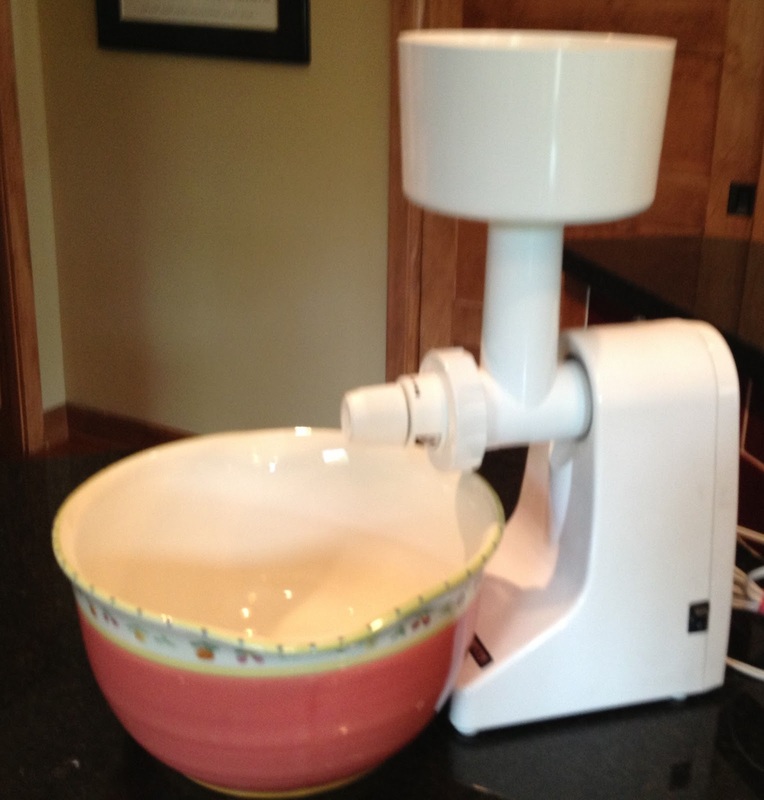 Flour loses its nutritional value very quickly after grinding. I would like to think freezing slows down some of the degradation. I rarely have time to grind flour on an as needed basis. So I keep some in the freezer; and yes, I do have a bag of all purpose flour in the pantry too. Once the flour is ground I measure it out into a big pail I use to store the pancake mix. This is made of food grade plastic. Please don't think any old bucket will do. This bucket is fitted with a gamma seal lid allowing the top to screw on and off rather than being pried off. Today I added fifteen cups of flour. Then I add to the flour the appropriate amounts of sugar, baking powder, and salt. Feel free to use your favorite pancake recipe but for me it is 1 cup flour, 1 tablespoon sugar, 2 teaspoons baking powder, 1/4 teaspoon salt. Obviously I did this fifteen times (well I used a conversion chart... 16 tablespoons = 1cup; 3 teaspoons = 1 tablespoon; etc.). Then I closed up the bucket and rolled it around to mix all the ingredients. The last step is to put a "cheat sheet" on top of the mix listing all the wet ingredients to be added later. Please don't add the wet ingredients until time to cook. Can you imagine the nasty smelly mess you would get letting that sit in your pantry (shudder). For the recipe I use, for each cup of the dry mix add 1 cup of milk or water (I prefer milk), 1 beaten egg, and 2 tablespoons of vegetable oil (I prefer olive oil). Two cups of mix with the proper amount of wet ingredients makes 12 - 14 pancakes. The pail gets closed up and stored in the pantry for future use. As for the chocolate chip pancakes, I cannot tell you how many times I put chocolate chips into the batter then tried to scoop them out of the bottom of the bowl to cook. It doesn't work well. 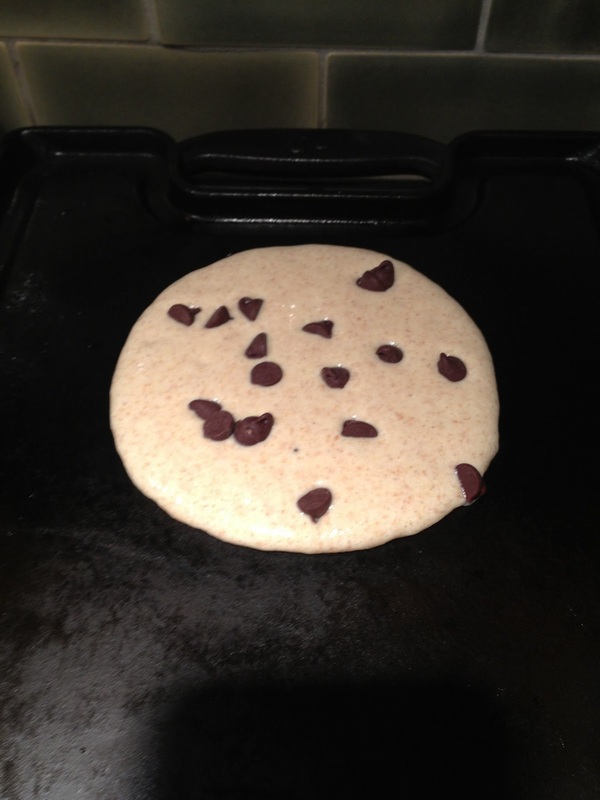 Now I am smarter and drop chocolate chips into the cooking batter on the griddle before I flip the pancakes. And in this way, only my little one ends up with chocolate chips. We finish off the pancakes with real organic butter (much healthier than you would think) and real maple syrup. Thanks for your comment and I am glad you like it. People who are suffering from the issues like diabetes or the sugar can now easily get the sugar free pancake mix from the market so that they do not have to miss on things too much.